As well know, To optimize computer performance and maximize disk space use, The windows users often need to manage disks and partitions. Such as Create/ Resize/ Delete/Format/Hide Partition, Change Drive Letter Set Partition Label Convert FAT/FAT32 to NTFS, extend a partition and inceased hard drive space, copy disk or partitions or recover deleted partitions. Perfectly running under commonly seen Windows PC operating systems, including Windows XP, Windows Vista, Windows 7, Windows 8,Windows 8.1/Windows 10, the toolkit enables home users to perform needed operations within a few simple mouse-clicks. Moreover, the software owning bootable MiniTool Partition Wizard Free Edition can assist with disk partitioning even when there is no operating system or system crashes. Thus, users can effectively fix boot failure with it. 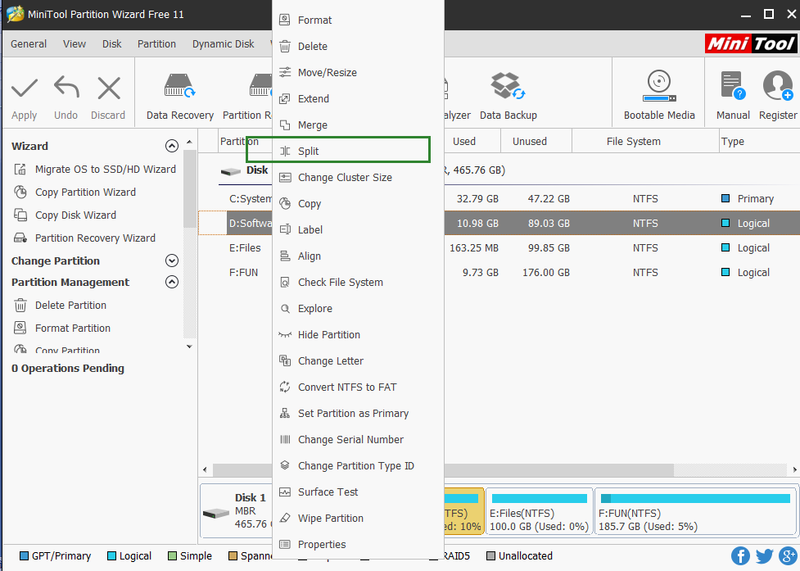 If you need to create more partitions, you could simply choose “Split partition” option. Split Partition feature allows user to split one big partition into two smaller partitions without data loss. By making use of this feature, you can clear partition data and then reconfigure parameters for the specified partition so as to meet actual demands. Attention: Formatting will destroy all data in the target partition. If the system partition or start partition is formatted, the current OS will fail to boot properly. It allows to copy an entire disk to another one, to make clones easily. Copy Disk copies all partitions and data from one disk to another in several steps. It is much time-saving and useful . If you don’t have space for files in a partition, you can extend it and make it bigger. 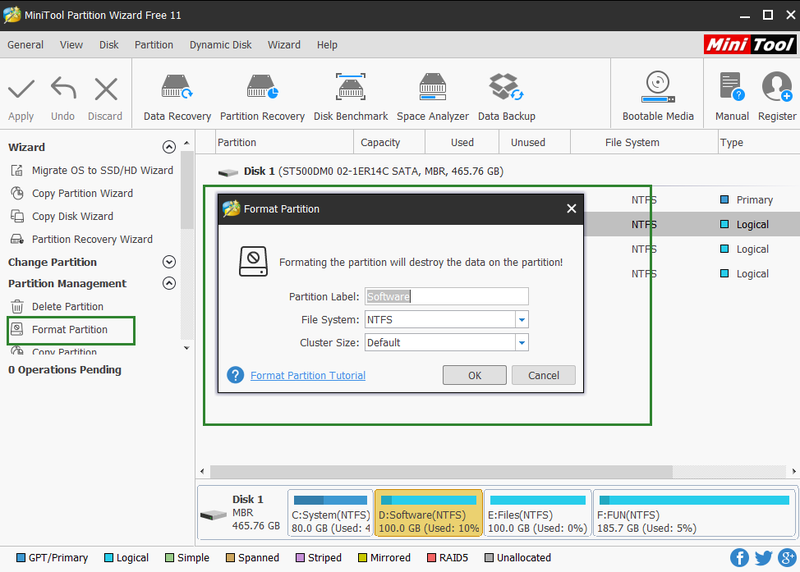 Extend Partition directly takes free space from any other existing partitions or unallocated space to enlarge a partition on the same disk while “Move/Resize Partition” requires contiguous unallocated space. If you have deleted a partition by mistake, you can try a recovery. What’s the new features of MiniTool partition wizard V11.0? Some optimizations and bug fixes.